Raven Williams describes herself as a beautiful mess disguised as a human being. Within this beautiful mess words swirl around until they coalesce into fictional, fantasy stories or poetry for the world to read. When Raven is not writing, she is creating art in the form of fractal designs and abstract paintings. She is also a caregiver for a disabled family member and three cats. 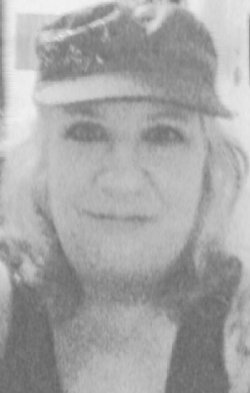 She currently resides in the Northwest Florida Panhandle, but the Pacific Northwest is the home of her heart. She hopes to return there one day. 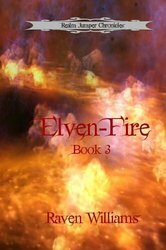 A world where fantasy and paranormal collide and chaos reigns supreme. Do you dare to enter? Welcome to the Omnibus Edition of the Realm Jumper Chronicles. 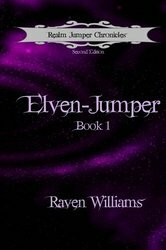 In this edition, you will find the first three books in the Realm Jumper Chronicles Series. What happens when humans begin having memories and dreams of a life as an Elf? Do the Elves step in or do they leave the humans to their own devices and hope they remain undetected? 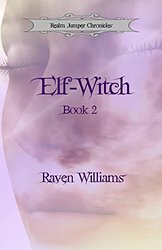 When an Ancient Witch Prophecy is discovered, The Elves, Guardians, and Dragon-Shifters become involved in the human realm once more. When worlds collide, destinies become entwined. With war looming, each of the Elder Species must make a choice. The Elves and Phoenix-Shifters have pledged their support. Will the other species join them or leave Earth to its fate? This trailer gives you a little tastes of, not only the first three books, but the next three books being released as well. The evil by demon wrought? Turn the tide of the land?